Yet another longtime ad sales chief is leaving their perch. Arlene Manos, who has worked as president of advertising sales for AMC Networks since 2002, is stepping down from the role at the end of the year, and transitioning to president emeritus. Her deputy Scott Collins, who works as evp of ad sales, will become the new president. 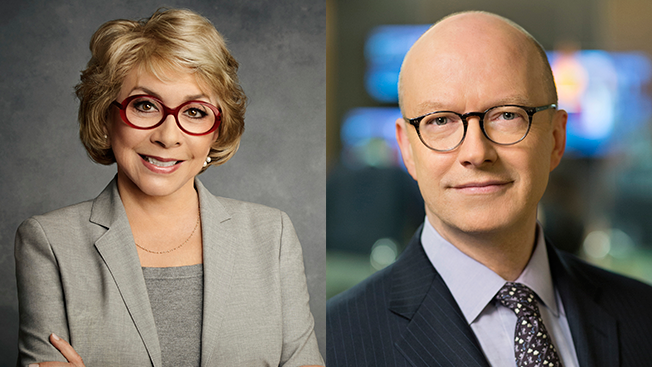 Beginning Jan. 1, Collins will oversee all ad sales for AMC, IFC, SundanceTV, WE tv, BBC America and BBC World News. During her 14 years at the company, Manos helped transform the networks from ad-free or single-sponsor to ad-supported, while handling ad sales for a network that went from having no original series to the No. 1 show on television in the 18-49 demo in The Walking Dead. "It's something we've been talking about for while," Manos told Adweek of her decision. "We're a company that is very well-run, and any well-run organization has a good succession plan. When I hired Scott eight years ago, he was thought of as a probable successor to me, and that's been nothing but confirmed, and it's time for him to have the next move. And the presidency is the next move." Collins will handle all day-to-day business, while Manos will focus on "bigger company initiatives," she said. "Projects that could use some extra thought and time. Whether that's conference participation or speakers that we have or meetings or that sort of thing, things that are outside the day-to-day responsibilities." Manos will be in her new role "indefinitely," she said. "As long as I can contribute." "Arlene is one of the most respected and successful advertising sales executives in all of media," said AMC Networks COO Ed Carroll in a statement. "She is a widely recognized industry leader who built our sales organization from the ground up, carefully transitioning each of our brands into ad-supported networks and guiding a team that consistently delivers outstanding results." Manos arrived at AMC Networks in 2002, from A&E, where she worked as svp of national advertising sales. At the time, AMC was a movie network that was beginning to transition to ad-supported, and Manos had no idea how the network would evolve over the next 14 years, thanks to its groundbreaking original series like Mad Men, Breaking Bad and The Walking Dead. "Those shows were not on the horizon then. But I did think that they had their eye on an evolving viewer, and I liked their thinking in that regard," said Manos. "It requires somewhat of a different skill to sell programs that develop such a high-profile, but we adapted to it beautifully." In 2003, she oversaw WE tv's transition from a network with a single-sponsor (Johnson & Johnson) to fully ad-supported, and later turned IFC and SundanceTV into ad-supported networks. After AMC Networks purchased 49.9 percent of BBC America in 2014, she also took over ad sales for BBC America and BBC World News. "I don't think there are a lot of people that can say that they really started ad-supported in the industry, and I did that with some of the networks," she said. Collins will take over as president on Jan. 1, reporting to Carroll. "Arlene's decision to make this transition is made possible by the strong team that she has put in place, which includes her successor Scott Collins," said Carroll. "Scott is a talented executive who has strong relationships across the business and we look forward to having him take on this new role." Agreed Manos, "We're very close, we've very collaborative and I'm very proud of him. It just is the right time." Collins arrived at the company in 2008, first as svp of ad sales for WE tv. He previously worked as vp of national ad sales for NBCU Cable Entertainment, and an account executive at A+E Networks. Manos is the fourth long-tenured ad sales chief to leave her post in recent months. Just two days ago, NBCUniversal announced that Seth Winter is stepping down next month as NBC Sports Group ad sales chief, but will stay with the company as an advisor through 2018. While Winter's departure—just weeks after the Rio Olympics—seemed hastily-arranged (no successor was named), Discovery Communications and Viacom had more orderly transitions for their respective recent ad sales changes. Joe Abruzzese, who spent 46 years in the business, announced his retirement from Discovery Communications in July. He's passing the baton to Ben Price. Jeff Lucas, who spent more than a decade at Viacom, announced in June (less than two weeks after finishing Viacom's upfront) that he was headed to Snapchat as vp and head of global sales. Sean Moran has taken over as head of Viacom ad sales.